It’s always been a heavy responsibility to teach children what is right and acceptable in the society. Parents and teachers sometimes play their roles to educate kids about the social issues, ethics, and norms. But, sometimes oral teaching is not enough, or you can say children do not remember all from the whole. In such case, books with some interesting images help a lot to teach children. 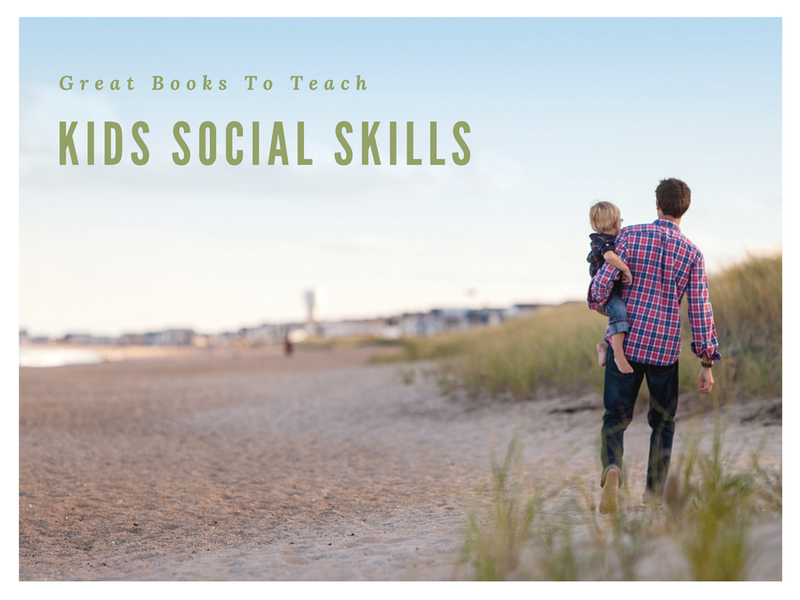 Here, I have compiled a list of books that are great to teach and help kids to learn social skills. Bullying has become a very common crime in our society where most of the children become victims of cyberbullying. Such victims avoid speaking to their parents or family about the incident happened to them. This book provides some efficient and practical ways to get children talking about what happened to them. This book reinforces the good things that children can do with their hands. It provides simple explanations that why we should use our hands in doing good deeds. It is especially effective for kids who are under the age group of 4-5 years. This book describes the way that how one can make friends and socially interacts. Those children who are reluctant to make friends or shy, it will help them a lot to understand. The book is from Little Bill Series and represents the feelings of children who feel that they are not getting attention from their family and unimportant. Along with that, the book is also useful for parents who may ignore their kids. This is a sort of problem-solving book that guides children with multiple strategies to solve social problems. Reading this book, kids can come up with their on ways and strategies if they don't like the way story turned out. This book tells the story of a hippo who speaks very loud as every child does in his childhood. It is suitable for kindergarten kids who learn that when they need to control their loud voices. This is a workbook with many exercises that help children to solve problems on their own and control their anger. This book increases the confidence and self-control among kids that can support them to stand for themselves. It helps to build a good behavior of kids in the classroom and includes the skills necessary to teach them. It focuses on behaviors such as respect of others, patience, a sense of sharing, following rules etc. It includes multiple activities of story telling, fun games, idea discussion etc. This book is very helpful in addressing behavioral issues, and it includes a workbook and exercises. This book is also supportive to teach challenging children to solve their problems of self-control and compliance. The book helps to teach children to identify facial expressions and the meaning behind them. It explains with the facial image and the emotion hidden behind it. This book helps children to apply the knowledge in real life situation to identify what is the meaning of a particular expression. This book is great to teach your children about real life situation complexities and boosting up their self-esteem. It teaches them respect for others and a sense of responsibility that they should take in future. This book comes in many volumes, and each single volume focuses on particular social skills such as sharing, rules-following, listening etc. Book not only explains the skills but also opens room for discussion by listing the questions. The book is interesting and shows the story of a brother and sister who go to the picnic with their family. This book teaches that everyone deserves respect and we should learn this good habit of giving respect to our parents, grandparents, and everyone we have around us. This book was selected for ALA Notable Book, and it is about the mouse who loved her long name. A girl and her friends make fun of such a long name, but the teacher defends the mouse by explaining that there are many people with big names and we should not make fun of them. The book is about the standard issue of playground bully which is done by Mean Jean. Then a new girl came to realize her that at sudden anything can be happened. This is an important book for kids to teach them that teasing others is awful and unwanted. This book is about the new classroom raging trend in schools. A girl when entered into a classroom, she was teased by class fellows, but she remembers the kind words from her grandmother and thought positive about herself. The book is really interesting because it teaches that how a small piece of kindness can grow into a large chain of good deeds. The story starts with Amelia's smile, and the chain makes up all around the world. The book teaches children to spread goodness in the world to make it a peaceful place to live. The word Garden in the book title has been used as a metaphor to teach that distractions are present in everyone’s life, but it is our responsibility to behave well and make sensible choices. Young kids can learn a lot from this book about dealing with their distractions and focusing on core goals. These are a few books that can be purchased to teach your children with few essential social skills. Both parents and teachers are the primary sources to equip a child with all these social norms and expertise, they should teach their kids that what is important to behave in society and with others. Fiona Allen is writer and Graphic Design Consultant at 5stardesigners and loves to write about digital marketing. 5stardesigners aims to provide Branding, Logo Designing, Website and Mobile App development services for small to large businesses.